The layers and layers of petals create the look of a sumptuous summery pudding, white with hints of cream, strawberry and raspberry, all swirled around and mixed so every flower is different. 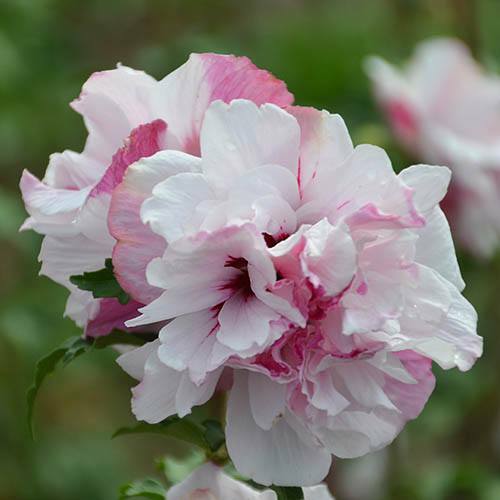 Grow in a warm sunny spot, feed well as with all Hibiscus and you will get years and years of enjoyment. Supplied as a well branched plant in a 3L pot, ready to plant all year.